We are having the FG rematch this following Sunday at 8gmt as always. We pick our team of drivers after our new rules, that would say the 4 that haved trained enough, are fastest and most consistant during training period. It would be same match rules at last. 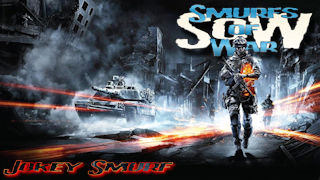 Training server is up "smurfs tmf matchserver"
"This is my haggis, this is my bum, this is for eating & this is for males aged 19 and over with a nice wiggle"
if possible plz sub me if not i dont mind. well played all. fg won 8 maps smurfs won 0.